Catalog Home > Band-in-a-Box Drum! Click! Clack! 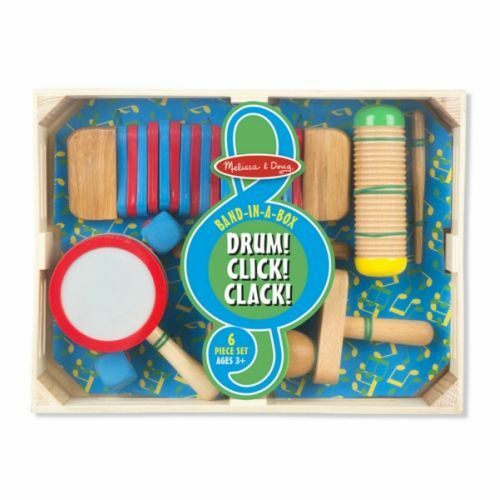 Use the mallet to shake or rub the guiro, twist and turn the bendable kokiriko, gently thwap the foam beads on the spin drum, and use the mallet to scrape and tap the double bells of the agogo with these hand-crafted wooden rhythm instruments. All instruments store in the convenient wooden box. Ages 3–6.